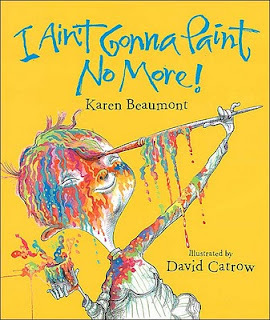 Alright, y'all, so want to see one of my fav, fav, favorite children's books of all time?!?!?!?!! 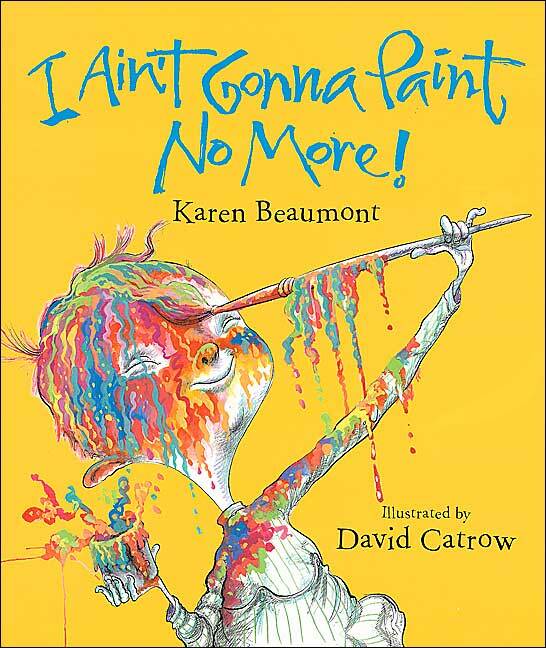 I Ain't Gonna Paint No More, by Karen Beaumont. Seriously, it's hard to say who gets more excited about reading this book: the Firsties or me... HA! First, I had my kiddos read the book in pairs. 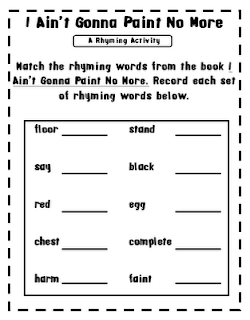 Then they come picked up this little rhyming activity to complete with their partner. The low down? 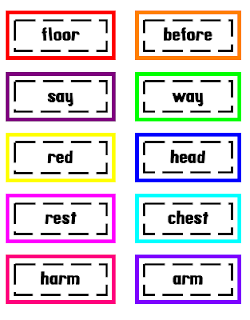 This activity is just a variation of concentration that uses rhyming words from the book. 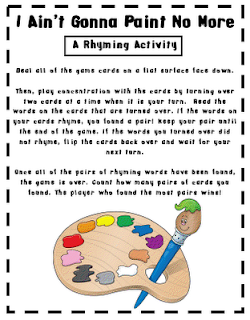 To play, kiddos flip over two cards at a time, read the words on the cards, and decide if they rhyme. If they do, the kiddo keeps the pair of cards. If the words on the cards don't rhyme,the cards get turned back over and it's the next kiddo's turn. After all of the cards have been picked up, the friend with the most cards wins. They ADORE this activity. Want a copy of your own? Click on any picture preview to download the file. And what workshop activity wouldn't be complete without a Show What You Know? Hence this little buddy. 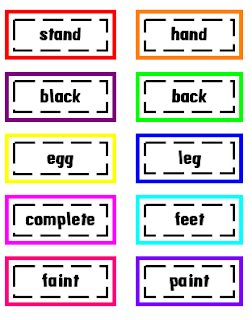 I use him to make sure all of my Firsties REALLY know how to read the concentration words and identify the rhymes. Have a spectacular weekend, Y'all, and enjoy the BEAUTIFUL spring weather!!!! INCREDIBLE! You are so creative and thoughtful! Thank you! Have a great weekend! We LOVE this book in my class too!!! Scholastic sold the CD to go with it and it is sung instead of read. It gets chosen A LOT during by the VIP. Thanks for the great activities to use with it now. Perfect for my April Poetry Month Activities! Thanks for sharing! This is wonderful! I've seen this book, but haven't ever read it. I'll get busy trying to track it down. Thanks for the great printable to go with it. I am loving ALL of your activities. 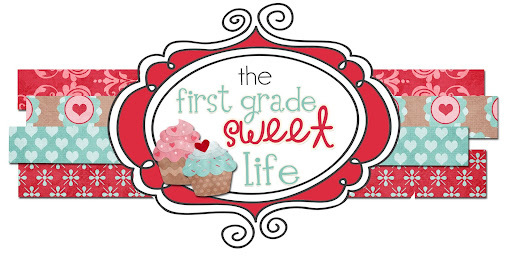 I create a lot of my own stuff, but don't have all your cute clip art. Where do you find all your cutesy stuff?? I'm off to Amazon to see if they have this one in the used section! Love getting new book ideas! I'm not familiar with this book- I'm heading to Barnes this morning to see if I can find it. Love getting new ideas! This is one of my favorite books too! Thanks for sharing the word work! Mrs. Thiessen, how do you come up with these cute forms? I want to learn how....it is Google docs but did you learn a program to put them together? Cute ideas. I'll have to check out that book! Good to see that someone loves this book as much as I do! Thanks for the activities! Thank you for sharing this wonderful post here. This is really great post.